I've noticed every new real estate development in New York seems less and less like New York – there are pools and gyms, courtyards and big lawns outside. New York's condos seem increasingly like vertically stacked suburbs. Now there's some data to back up why that might be. 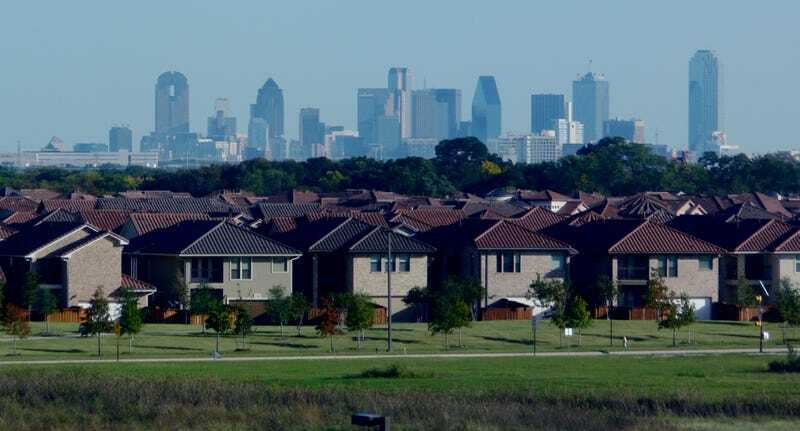 A new survey from the National Association of Home Builders found that millennials (people born after 1977) overwhelmingly want to live in the suburbs, even if they're living in the city now. There are a few problems with the study, as Sommer Mathis at CityLab points out: first of all, it's funded by the trade group for companies that build single-family homes, so it's not exactly unbiased. Secondly, it only surveyed people who are thinking of buying a home in the next three years, or just bought one. Still, the data is pretty striking: The survey found that 66 percent of respondents wanted to live in the suburbs. That begs the question, why the hell are they all still in the city then? And that gets to a much larger economic problem, and one that has huge implications for understanding gentrification. It may not be that millennials just love gentrifying inner-city neighborhoods, but that they can't afford to get out of them like their richer parents could. Wages for everyone under 34 have fallen significantly since 2007. In the wholesale, leisure and hospitality industries, which employ about 25 percent of millennials, wages have gone down by 10 percent in just the last few years. Recent numbers from the Brookings Institution also suggest that millennials are indeed stuck, not staying in cities by choice. 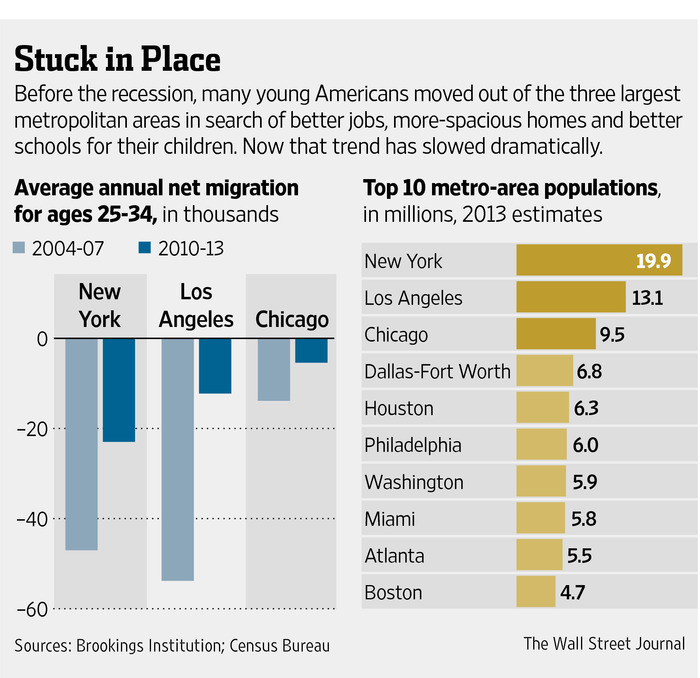 Brookings found that in New York, Chicago, and Los Angeles, the percent of people ages 25-34 leaving the city each year dropped by double digits after the Great Recession. So maybe next time you see a hipster gentrifying your neighborhood, take solace in the fact that they're just a future suburbanite, waiting for a raise.